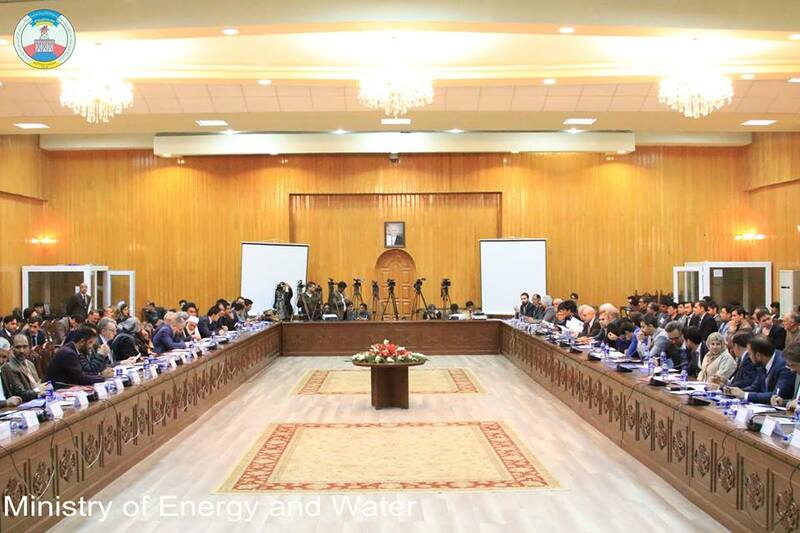 Following World Water Day earlier this month, the national World Water Day Conference took place at the palace of Afghanistan’s Chief Executive Officer, Abdullah Abdullah, on Sunday 25th March. Representatives from the US and Italian embassies, the FAO, UNESCO and national government organisations as well as NGOs attended the conference in Kabul. The Team Leader of the Landell-Mills-managed Kabul Managed Aquifer Recharge Project (KMARP), presented the project at the conference. Kabul’s population depends on the Kabul Basin for a potable water supply, however increasing demand in the area due to its growing population has caused groundwater levels to decline and the city is in vital need of Managed Aquifer Recharge. The project aims to mitigate water management challenges on a regional level, for the whole of Kabul. This project, financed through the Asian Development Bank, is the most comprehensive of its kind in the country, analyzing both deep and shallow aquifers using advanced FEFLOW modelling software to identify the best management design. The project has been running since early February 2017 and is scheduled to conclude in April 2020. In Afghanistan, 161 in 1,000 children die before the age of 5, and in 23% of cases, these deaths may be attributed to poor water and sanitation. A typical Afghan child suffers six episodes of diarrheal disease each year. It’s hoped that through KMARP, a greater understanding of Managed Aquifer Recharge will dramatically reduce mortality rates in the capital city. Artificial recharge can be used not only to maximise long term and seasonal storage of water, but to improve its quality through a dilution process. The Team Leader assured the conference attendees of the project’s sustainability, and its ability to mitigate the impact of climate change on water supply in Kabul. The project is in its early practical stages, with the team conducting a pilot study in order to assess the feasibility of the project as a solution to water shortages in Kabul.